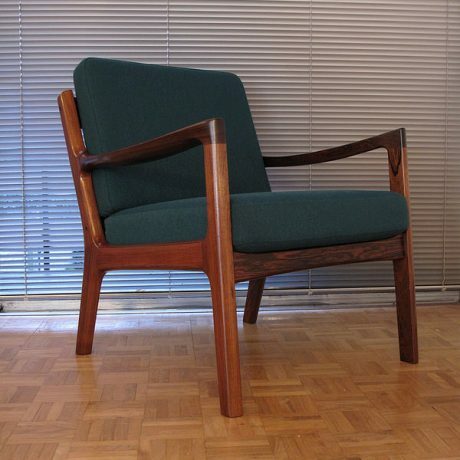 One of our favourite designs by Arne Vodder and exceptionally hard to find, especially in rosewood. 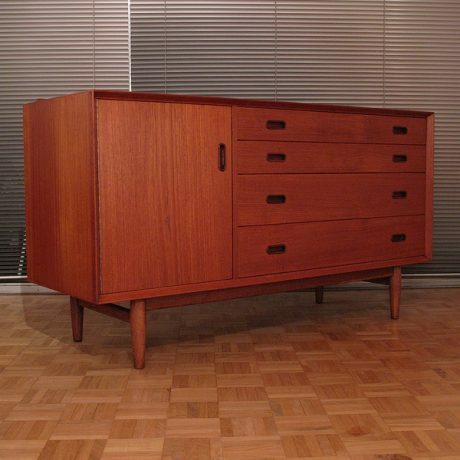 A very handsome and beautifully constructed little chest of drawers that works very well as a side table or bedside table due to its compact proportions. The single drawer can be repositioned in either of the three shelves giving great versatility. Produced by Vamo Mobelfabrik with makers mark to the reverse.